Pat Gillick is a hero in this town because they won a title under his watch. But it is certainly worth noting that the vast majority of that team was signed by Ed Wade. The only major players on that team brought in by Gillick were Jamie Moyer, Jayson Werth, and Brad Lidge (well, unless you count Matt Stairs as a major part of that team). 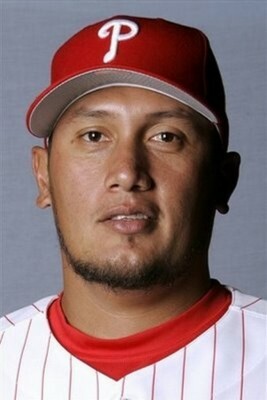 In 2006, he traded Bobby Abreu for a bag of baseballs. Furthermore, Gillick nearly derailed the team in 2007 when he made one of the worst trades in Phillies history, one that still carries repercussions today. As the Phils headed into the 2007 season, their front office and fans were dogged by the frustration a team feels when it keeps coming tantalizingly close to the post-season. In 2006, they missed it by three games. In 2005, they missed it by one. So they knew they were close, and thought that a front line pitcher would get them over the top. Enter the vastly overrated Freddie Garcia, coming off a season in which he had won 17 games, but had a bloated ERA of 4.53 (To show how worthless wins are to gauge a pitcher, last year Cliff Lee had 6 wins and a 3.16 ERA). Nonetheless, the Phils thought he could be the staff ace they needed to get them over the hump, and so they decided that he was worth two blue chippers, Gavin Floyd and Gio Gonzalez. Garcia was signed to a one year, $10 million contract, then went out on the field and completely bombed, going 1-5 with a 5.90 ERA. Of course, the numbers were so bad because he was hiding a shoulder injury from the team. After giving up 6 runs and recording 4 outs in a loss to Kansas City in June, he was sent to the DL. He never pitched for the Phillies again. Gio with the Reading Phillies. like a dope, and has to make you wonder if the Phillies would have felt the need to spend so lavishly on starting pitchers at the expense of the bullpen and hitting the past few years. Gio Gonzalez is a full fledged stud, and unlike current Phils pitchers is both young and signed to an incredibly generous deal for the Nationals (5 years, $42 million.) He has been essentially unhittable since 2010, putting up numbers very similar to Cliff Lee’s for about a third of the price, and Gio was #3 in NL Cy Young voting last year. The only scratch on his record is his connection to Biogenesis, which could result in a lengthy suspension in the near future. It is worth noting that the White Sox blew it just as bad as the Phils did with Gonzalez…after receiving him so generously from Philadelphia, they turned around and traded him to Oakland for Nick Swisher, who lasted one year in Chicago and batted .219. A little context is probably important here. At the time Gonzalez was a 20 y/o AA pitcher (who who had some great peripherals but also let up 24 HR in 2006) one year removed from being the player to be named later in the Jim Thome deal. He wasn’t ranked in Baseball America’s Top 100 prospects until that year, where he was ranked 72, sandwiched between Phillip Humber (who became an at-best mediocre reliever) and Kevin Slowey (who put up a few fairly good years as a starter before flaming out). So anyway, yes, absolutely, the Phils got the worst of that deal, but I think it’s poor sport to complain about Gillick’s process: the Phils were looking to win now, and they traded a pair of fairly unheralded prospects for a previously very good pitcher who ended up getting hurt. I agree with David. I’m also a believer in the Butterfly Effect. Had we not traded for Freddy, we may not have won the series in ’08. You never know with prospects. The Yankees often get ripped for trading Fred McGriff and his yet-to-come 493 home runs for Dale Murray, who was hurt and never threw another pitch. But McGriff was a first baseman, and they had Don Mattingly coming up. They also get ripped for Jay Buhner for Ken Phelps, but if they had Buhner they wouldn’t have gotten Paul O’Neill, and that worked out well. Also, Ryne Sandberg and Larry Bowa for Ivan DeJesus was a good trade. For the Phillies. DeJesus helped the Phillies win a Pennant, Sandberg never helped the Cubs win one. Over the course of Sandberg’s career, the Phils won 2 Pennants; the Cubs, none. You gotta think these things through.